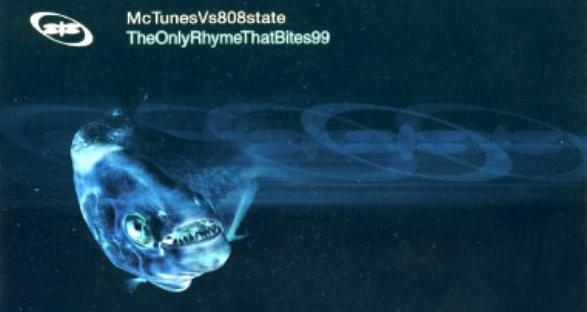 It had to happen ... and now it has - the remixes of the seminal MC Tunes and 808State collaboration The Only Rhyme That Bites'. Originally released back in the heady days of 1990 when an army of budding techno DJ's were just beginning to think about the endless possibilities of cutting edge dance music. Tunes and 808 bit the unthinkable bullet and mixed the madness of a classical sample together with a tough aggressive (and at the time thought relentlessly fast) rap - emerging with the classic we now know and love. The Only Rhyme That Bites' rocked through the then established safe environment of dance and threw the rule book well out of the window - landing somewhere on the Fat Of The Land. CD1 features the original mix plus the brand new 808:99 remix. Also housed on the CD is the Fire Island Remix of Bombadin'. CD2 includes the D&B interpretation from "Muzik Magazine Producer Of The Year" Optical as well as "that" remix of Cubik from man of the moment - Victor Calderone. The Barta Mix of Bombadin' also makes an appearance. Also available is the 808State 808:88:98' album celebrating the works of 808state.